A lesson in “radical self-acceptance” with psychologist and meditation teacher Tara Brach. What would life be like if we lived without anxiety about our imperfections? Is it really possible to accept ourselves so fully? Tara Brach answers with an emphatic "yes" in The Wisdom of Self-Acceptance. Join this clinical psychologist and Buddhist meditation teacher as she shows you how to free yourself from the grip of insecurities about being good enough. Sounds True Pearls bring you inspirational and insightful downloadable audio sessions selected from our most popular courses. Ranging between 15–40 minutes each, Sounds True Pearls offer a concise way to explore topics from meditation and spiritual practice to mind-body healing, the art of manifestation, and more. String them on your smartphone, MP3 player, tablet device, or computer today, and you'll be ready to empower your life with the transformational teachings contained in each Sounds True Pearl. 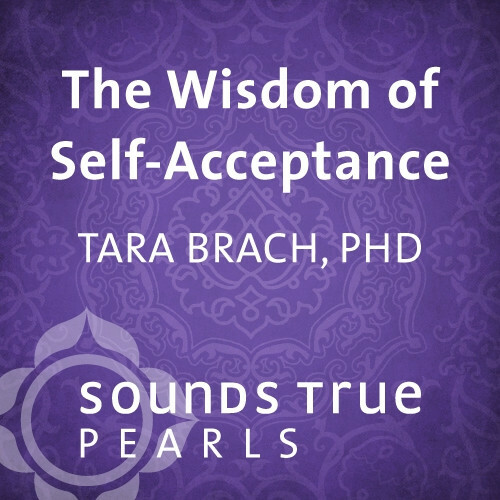 This session is excerpted from Tara Brach's 3-CD program Radical Self-Acceptance.